February 14, 2012, 10:56 PM · Once, I was young and madly in love -- with the Bach Double. Sadly, I had a hard time finding anyone who had either the skill or will to play it with me. 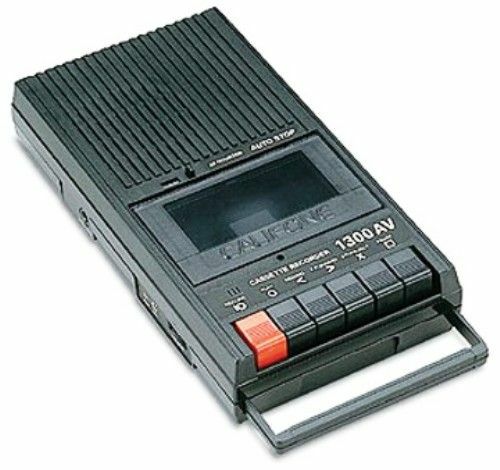 When my parents gave me a nifty, new-fangled cassette tape recorder for Christmas, it took me a while to understand the implications of this technology, but soon enough, I realized: if I recorded the second violin part, I could play the first part, with myself! Anne Akiko Meyers has taken this idea to an entirely new level: She, too, has recorded the Bach Double with herself, but with the two Stradivari violins she owns, along with the English Chamber Orchestra, Steven Mercurio conducting. It's all part of her newest album, released Valentine's Day, Air: the Bach Album, which also includes Bach Concertos Nos. 1 and 2; "Air" from Orchestral Suite No. 3 in D; the Bach/Gounod "Ave Maria"; and "Largo" from Concerto for Harpsichord in F m.
You did hear me correctly, Anne, whose recent recordings include Seasons…Dreams and Smile, does own two Stradivaris. About a year ago she acquired the 1697 "ex-Molitar/Napoleon" Strad (for a record price of $3.6 million). She has owned the 1730 "Royal Spanish" Strad since about 2006. At this point, she's planning to keep them both. "Since I acquired 'Molly,' or the 'ex-Molitor/Napolean' Strad, a lot of people were asking what the differences were between the tone of the two Strads that I own. They really wanted to hear them in concert together," said Anne, when we spoke over the phone last Thursday. "I started to think of what composition would be suitable for this, and then we started to think about Bach, and I thought, how ideal, to record the Bach Double, and to do both parts, which no one has done on two different violins. So it was a very novel idea, on a piece that has been played so much." So which fiddle stars in which role? "It was a very easy choice for me, deciding which violin went to which part, because the 'Royal' has a little more masculine kind of sound and is a dark -- tall, dark and handsome man!" she laughed. "The first violin part has so much in the upper register; it really captures the sonorities and overtones in Molly so exquisitely. I really wanted to make sure that it sounded like two different people, too. After I recorded it, I later found the Heifetz recording. I think that the big mistake there was that he was using the same violin, and he also sounded exactly identical in both parts." Anne said she definitely thinks of "Molly" in the feminine. "She's very responsive, but she's also very pure. And I think there's this cleanliness in the sound that carries over so exquisitely with Bach and Mozart." In preparation for making an all-Bach album, Anne said she "bathed her soul in Bach," studying authentic ornamentation, tempi and dynamics. If you strip down all the practices that have evolved around Bach and focus on Bach's manuscript, or the urtext, there's actually a lot of room for interpretation. "I've studied Bach's markings and realized that there are no dynamics and no tempi markings, and every edition is different," Anne said. "I went back to the Henle edition and realized a lot of people were playing wrong notes, and wrong slurs, which make up the articulations. When you take all these things away, it takes the intimidation away. Nobody truly knows how it sounded back when he composed these pieces -- in a coffee shop! He played the violin concertos in a coffee shop, weekly. That was his getaway. After fathering 20 children, I really don't blame him!" So what to go by? "The guiding light in Bach's writing is the pulse," Anne said. "It's all set to dances. Basically, if you can dance to the music, you're on the right path. It has to have a lot of energy, and there's always a forward-moving propulsion to his phrases. There's just many layers to his compositional style; but that's what makes it so fun to play." "A lot of people try to intellectualize Bach, and that's a big problem -- you're looking for a kind of scientific structure to guide you to perform Bach," Anne said. "when you strip that away and you look at the actual music and how it makes you feel, it's just a very profound music, and very original in its style. You can easily speak, and let it breathe." I asked Anne to share thoughts on what it's like to play a Strad, long-term, in light of the recently-published double-blind violin sound test (that I participated in) in which violinists rated new violins and old ones about the same, based on a short-term test in a hotel room. "I think there's such a mystique with Strad -- and for a reason," Anne said. "He was a master craftsman, and (Stradivari violins are) so refined. It takes a special kind of technique to understand how to sculpt the sound and to bring it out. I think very few people actually get the opportunity to put a Strad under their chin, let alone spend enough time with it to figure it out, because it does take time. It doesn't play itself; it needs finessing. "It's like a novel that you were so impressed with and that you return to years later. We all are changing human beings as well, and so what we bring to the instrument changes, as well," Anne said. "I really truly believe that each violin is like a different entity, a different personality, a different soul. It takes time to discover how to finesse that soul, to make it shine and soar as much as possible, in a hall. When you meet anybody, it's impossible to say, 'I know them, they are like A, B, C and D, and this is exactly what you do to make them laugh, to make them cry, to make them angry' -- it's the same thing with the violin! You could spent the rest of your life just discovering, and exploring the depths of a violin. Also, it's just incredible to know the provenance and the history attached to a violin, that a violin has survived longer than we have -- over 300 years! And I can count on one hand, who's owned it. There's something really special about that." "I think violins, in general, need to be broken in, especially when you're in concert mode," Anne said. "Modern violins don't have the history of somebody playing it for a long time, so it can feel like a new sound for quite a while. It just needs to be broken in. With the Strads and Guarneris, you've had 300 years of amateurs and collectors and professionals and people who have really worked on it. I think that the wood is very, very different. I also think there's something about the wood having gone through a cold temperature change on earth. All these things really do make a difference." Here's another bit of news from Anne: she is expecting her second daughter, due to arrive in early March. Anne's daughter, Natalie, is 19 months old, and she said she's really enjoyed traveling with her whole family when she performs. "It's so enriching to be able to do what I really love and then travel with my family and do it together," Anne said. "For decades, I was traveling by myself -- every lonely hotel room and symphony orchestra around the globe! It was great, but so different now. Your priorities completely shift. I feel so thankful, to be able to laugh every single day with something that my daughter does. She loves music so much -- she has a little 1/100-size violin," Anne laughed, "She loves to bang the heck out of! It's super adorable. I highly recommend having children and continuing with your concertizing as much as ever." "Sleep schedules and things like that just go out the window, unfortunately," Anne said. "You have to be very adaptable, very flexible. It's like being a musician - you just never know what's going to be thrown at you, and so it just builds experience." Here is Anne, playing the Bach-Gounod "Ave Maria" on the "ex-Molitor/Napolean" Strad in Feb. 2011, with pianist Reiko Uchida. 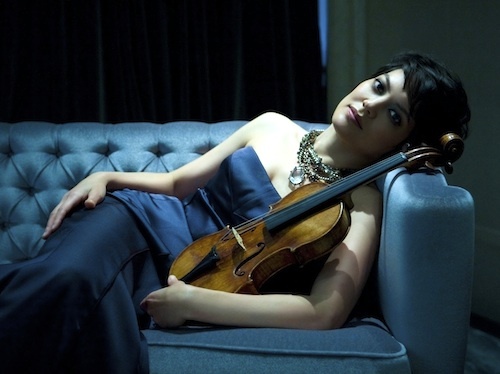 February 15, 2012 at 10:10 PM · Laurie -- Great interview of my favorite violinist! February 17, 2012 at 10:56 PM · Wow! Very expensive teething ring her kid is munching on. February 19, 2012 at 06:44 AM · Yeah, I LOVE that Anne's daughter is chewing on her violin. Especially in light of all the Strad talk in this awesome post. February 19, 2012 at 07:15 AM · It's great to can afford to buy a Strad.and even better for 2 strad!! February 20, 2012 at 04:46 PM · When she was 7, Anne Akiko Meyers performed the Bach Double with Sharon Towner (5 years her senior) and the Desert Community Orchestra (DCO) of Ridgecrest, CA. Sharon went on to major in music and violin at Northern Arizona University, Flagstaff and returned to Ridgecrest to teach music at the local high school. She also took over the concertmaster chair with the same DCO.